Happy Birthday Spokespapa! In our tradition of getting terribly romantic extremely practical gifts for each other, I got a pair of Ortlieb panniers for Oliver. Yup, those dry bag style waterproof (& probably bomb-proof) panniers you see on bike racks come the rainy season in Vancouver. Okay, all year in Vancouver. 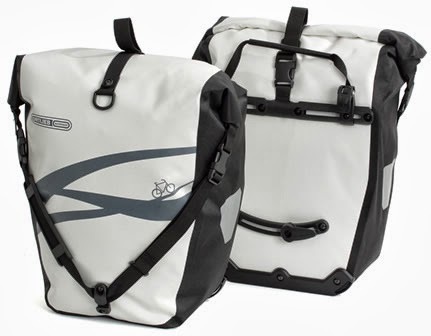 I got a great deal on the panniers & you can too--the Ortlieb Classic Back-Roller panniers (in patterns only) are on sale for $150 a pair ($50 off the usual price!) until October 31 or until they're all gone, at the Bike Doctor. They come in purple, green, blue yellow or white, with three different graphics. The bags feature an included shoulder strap, a roll over closure at the top, organizer pockets inside & a super simple to remove, very adjustable mounting system. If you didn't know, Bike Doctor is a locally-owned independent bike shop at 137 West Broadway in Vancouver. They claim to offer "fast, friendly, expert sales & service" & while I haven't had my bike serviced there (yet) I can definitely vouch for the friendly & fast service on the sales floor. I got my & Sprout's bike helmets there in the summer. They have a great selection with tons of Giro helmets, which apparently are the only brand that fit our heads. I did promise you a present too, didn't I? 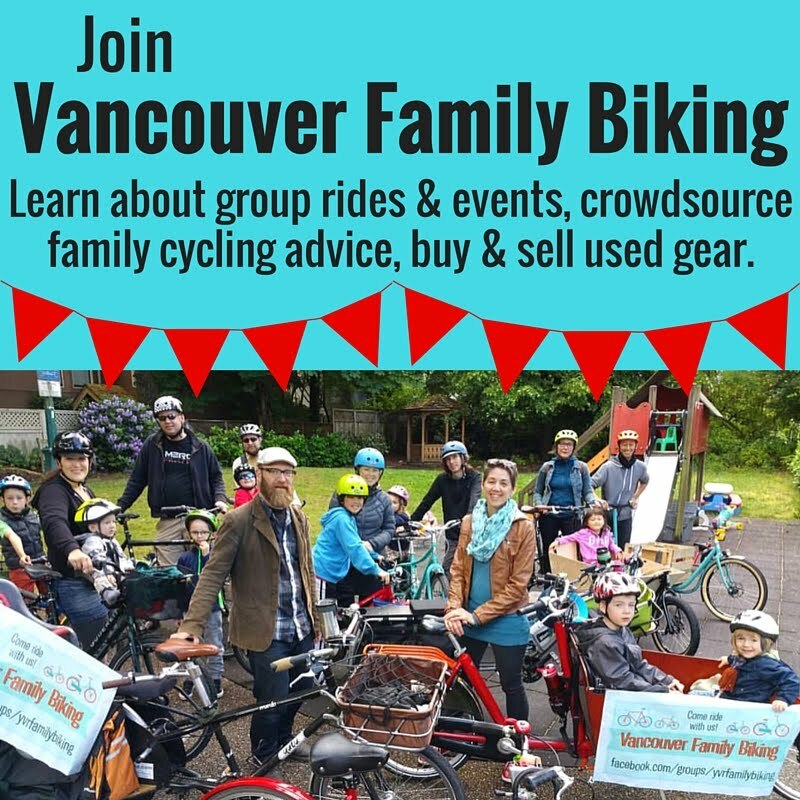 Here it is: if you go to Bike Doctor, tell them I sent you (mention this blog, Spokesmama) & you'll get 15% off the purchase of child seats, rain capes or lights! You're welcome! *The Fine Print: Spokesmama readers get 15% off regular priced items only, discount is a one-time deal & you'll be asked to show ID so you can't use it again. Offer expires November 15, 2013. Disclaimer: this is not a sponsored post--I just like supporting friendly local bike shops!